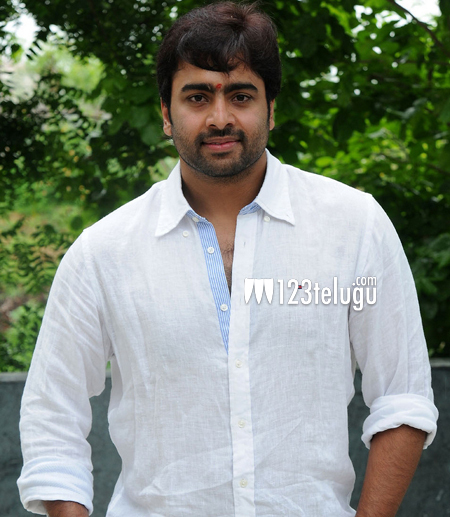 After a series of disappointing films, Nara Rohit got a breather with his latest release, Jyo Achyutananda. And now, this talented hero is all set to test his luck once again with his upcoming film, Appatlo Okadundevadu. The latest reports reveal that Appatlo Okadundevadu will be out in October, while the actual release date is yet to be announced. Already, there is an intense competition with several movies hitting the screens in October and Nara Rohit is braving the heat. Directed by Sagar Chandra, this intense action drama is produced by Krishna Vijay and Prashanthi under the Aran Media Works banner. Sri Vishnu and Tanya Hope play other leads in this film.